When I first came across The Ultimate Product Monster, it was due to a JVZoo listing that caught my interest. After trying out The Ultimate Product Monster for myself, I will breakdown the pros, cons and materials found inside within this honest Ultimate Product Monster review. And before anybody complains…. yes, I did pay to try this out! The Ultimate Product Monster is in fact, an online training course that is designed to teach you how to make money online by building your own easy to sell and easy to teach products. This product is designed to help you come up with a product that you can easily sell to others, how to put together that product, how to put together a high converting sales funnel, how to drive traffic to that sales funnel and how to follow up with all your prospects so you can earn money. This program is targeted to those who want to make money online but who do not want to become affiliate marketers. It is specifically for those who want to create their own products. As far as support goes there are two primary ways that you can receive. One, you can email support at support@ultimateproductmonster.com or you can head on over to the Ultimate Product Monster Facebook page where you can get in contact with the owner herself. There are very few things that I personally do not like about The Ultimate Product Monster after trying it out for myself. When it comes to online marketing, many people (myself included), look to those who have experience online for guidance in achieving our dreams. 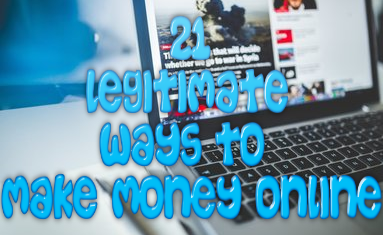 Most of the successful online marketers I have met are some of the most professional people I have ever come across and thus taught me to act just as professional in my online ventures. Karianne Gagnon, on the other hand, is as unprofessional as they come. Don’t get me wrong. Her product does teach you a lot of useful and helpful information when it comes to making and launching your own products. Maybe she is just trying to have a little fun or add a little personality into her business, but the use of profanity in her videos, training material and Facebook group is kind of off putting and makes me question why I should trust her. 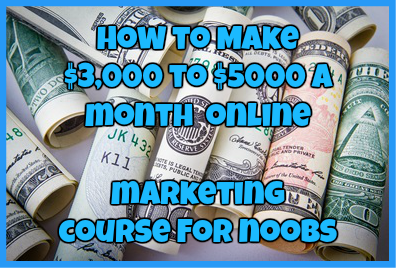 In several of her training videos, the owner Karianne Gagnon states that she has spent thousands upon thousands of dollars trying to find a way to make money online until she found a method that worked for her. She then claims that she has successful implemented her system prior to launching The Ultimate Product monster and how she was able to make thousands of dollars with it. HOWEVER, according to a post in her Facebook page she states how she is new to online marketing and has not make 2.5K in sales, which does add up to her previous statements. With this said, again how do we know the owner is being truthful and sincere about her experience? When it comes to finding actual Ultimate Product Monster Complaints and reviews left by actual customers, you will not find too many other than from those who are promoting it. This is a relatively new program so it will be some time before people actually begin complaining about it. However, this is just what a few people are saying about the program from within the actual Facebook group for the Ultimate Product Monster. After trying out The Ultimate Product Monster for myself, I actually don’t have too much to complain about. Sure, there are a few things that I don’t like about it, but that mostly has to do with the owner herself and not the actual program. In the program itself, you can learn how to make your own products successfully, launch them without breaking your bank account in the process and reaping tons of commissions in the process. Is it easy? No, of course not. Is it possible to make money with this system? Absolutely. With the help of this program as well as the support from the owner herself, I know there will be many people who will succeed with this system. Have you tried The Ultimate Product Monster? If so, what did you think of it? Let me know in the comments section below! ← News-own.com Review: Can You Get $$$ For Reading The News? Experts Academy: Can It Really Teach You To Become An Expert?